RE/MAX Sri Lanka which is part of the world’s No.1 real estate brand signed its latest franchisee into its portfolio with cricketing legend Kumar Sangakkara, as Crystal Group Properties becomes RE/MAX Crystal Properties. 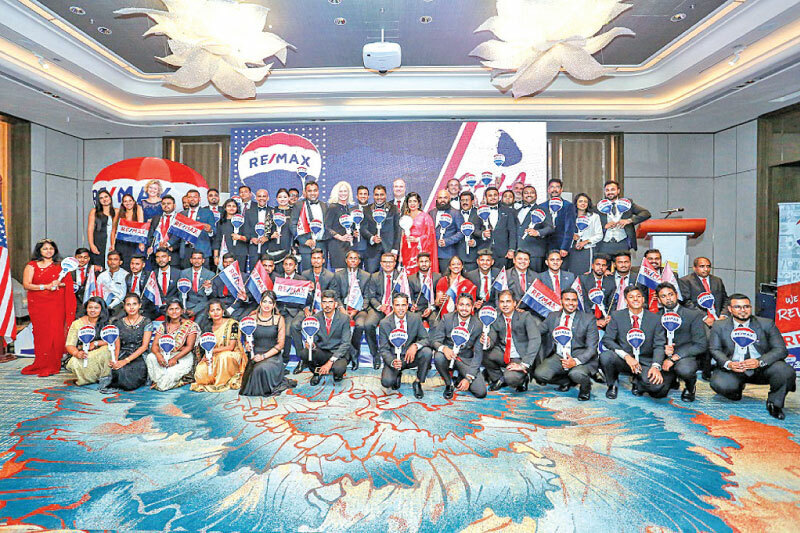 Kumar’s partnership with RE/MAX via Crystal Group not only elevates the brand in Sri Lanka, but also gives it significant advantage over competitors, a major milestone in making RE/MAX Sri Lanka the undisputed market leader. RE/MAX has been in business for over 45 years. Chairman/Regional Owner Sujan Shan and CEO/Director Mathany Ganesh of RE/MAX Sri Lanka who own the master franchise license of RE/MAX for Sri Lanka lead 10 offices in Sri Lanka with over 65 agents. Both declare their vision as being the #1 market leader in Sri Lanka and together hold a collective of over a decade of expertise in the global real estate industry with investors from around the globe. At its third annual convention, the importance of Sri Lanka as a catalyst in real estate development in the region could also be evidenced with the presence of personalities from RE/MAX World Headquarters in the USA and RE/MAX India. Chief guests were Directors of Global Development from RE/MAX World Headquarters USA Jan Repa and Cheryl Luster and Director of RE/MAX India Sonya Chowdhry. They commended RE/MAX Sri Lanka for the inroads made in this highly competitive and burgeoning industry. RE/MAX Sri Lanka also declared its new partnership with KPMG as its Research and Knowledge Partner. Principal Advisor KPMG Shiluka Goonewardene was present as this unique harbinger of change for the real estate industry became reality. Six awards were presented to RE/MAX partners around the country: Top Broker Owner for Agent Recruitment to Lathan Varatharaja of RE/MAX North Realty Jaffna, Top Broker Owner for Training/Development to Hussam Hameed of RE/MAX Infinity Colombo 10, Top Broker Owners for Exclusive Listings jointly to Alessandro Ponzi and Martin Vlek of RE/MAX Southern Properties Unawatuna, Best Branded Brokerage to Murali Ganeshan and Jeyavani Saam of RE/MAX Harbourside Realty Trincomalee, Manager of the Year to Vijenthan Kunaradnam of RE/MAX North Realty and Top Producing Agent to Saditha Perera from RE/MAX Estate Colombo 7. Gaining Top Franchise Sales was Israth Ismail.